With the arrival of 2012, I couldn’t resist the temptation to make some suggestions for business users of SAP to improve their SAP ROI and increase operational efficiency when working with SAP. And so here they are! Collaborate – if your SAP environment has been in a productive state for several years now, you may have made that investment in SAP workflow but at the same time you might have held off on implementing workflow in SAP due to the perceived complexity and costs. 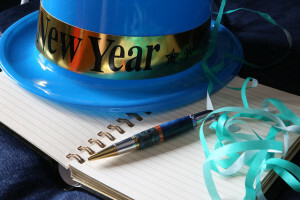 2012 should be the year that you reevaluate what you are doing with workflow in your organization in general. You most likely have already invested in some workflow tools, so should probably be looking at how you can consolidate the workflow tools and work in a single workflow environment. If you aren’t already running a workflow tool, consider the flaws in the paper shuffling and the email trails that you are still using. It is highly likely that you have inconsistencies in tracking and procedurally maintaining and monitoring those trails even if they are documented. 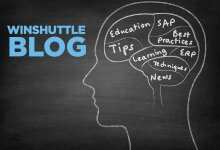 The good news is that if you are considering implementing a workflow tool or consolidating to a single workflow tool, Winshuttle Workflow will work with or without interaction with your SAP environment. So even for those instances where you have a workflow requirement, for say document approval without an associated ERP activity; you can build a Winshuttle Workflow on top of SharePoint and involve many intranet or even extranet participants in a decision making or collaboration scenario. Additionally, if you have expensive existing SAP workflows, you don’t have to throw them out. You can however augment the end-to-end process by sharing SAP events with queries out of SAP into a SharePoint using Winshuttle Query together with Winshuttle Workflow. This doesn’t give you direct access to the SAP UWL, but it does allow you to expand visibility into the far reaches of the organization and partner community without the associated complexity and high cost of building custom portal and collaboration scenarios using the traditional SAP Netweaver stack. Winshuttle Workflow together with a blend of Winshuttle Query and Winshuttle Transaction can also support the maintenance and creation of key SAP data sourced from partners or field personnel who wouldn’t ordinarily be directly involved with SAP data management or transaction processing. Training staff can be an expensive exercise, particularly if they need to be initiated into the complex and often tricky nuances of working with the SAP UI. Consider how you can accelerate the productivity of new hires and folks who now have new roles that require interaction with SAP. Winshuttle’s intuitive interface options include the ability to run data in and out of SAP all from the comfort and safety of Microsoft Excel. Users can have scenarios that are most frequently used but have high SAP GUI complexity reduced to labeled cells and columns in Excel. Additional capabilities like backing up data that has been changed, pre-validation, direct SAP transaction access from Excel, and customizable data entry layouts mean that some of the most complex SAP UI activities in terms of navigation can be reduced in complexity to the raw data represented in a spreadsheet. More importantly; because the results of the SAP interaction are store in-line in the spreadsheet, users can instantly see when and who updated which data in SAP. The laborious activity of using many keyboard strokes together with mouse navigation and clicking can now be reduced to just plain data entry into a template in Excel and a single mouse click call to SAP with success/warning/fail results appear directly with the Excel data. Users are no longer copying and pasting into SAP screens, exporting workbooks to text and sending them to IT to load or wading through cryptic LSMW logs file to determine which data to correct and resubmit. If you are already using Winshuttle Transaction or Query, consider some of the more advanced capabilities with these tools and take a look at how you can use SAP BAPIs and rFMs to integrate Excel and Access based data with your SAP system. Or look at Logical Databases and Infosets if you have only used table based queries up until now. Streamline & Standardize – Streamlining and standardizing your SAP interaction activities seems to be something that you would think that you would intuitively do. Unfortunately, with all of the tools and processes required to care and feed your SAP system this is not necessarily so. Consider that in your SAP environment you are probably using a combination of technologies to maintain business agility and effectiveness in creating, maintaining and reporting data. Consider what these are costing your organization in general efficiency and effectiveness and determine what you are spending in terms of time and money to maintain these. A mashup of technologies for example may mean that users have to bounce between application environments to achieve a single cohesive view of the world. Perhaps looking in the SAP portal, in the SAP GUI, the MDM system and then the intranet, and even an Excel spreadsheet to get a view of key data required for decision making. Winshuttle Server supports the exposure of SAP processes as web services which could be incorporated into a portal-based representation of your SAP data together with the data from other sources. Instead of maintaining data in a multitude of Excel spreadsheets, consider using a SharePoint list and blending data in the list with data from SAP. Query tools for various ERP systems abound and many of these, including Winshuttle Query for SAP, will allow you to create data marts for ready easy access to reports and data in live or scheduled states in your SharePoint portal. By standardizing the UI environment users who are relatively infrequent users of all of this data won’t be scratching their heads about where to go to find the data that they need. High volume users may even consider these SharePoint jump off points to be more convenient to work with than working in Excel or the ERP UI components directly. Formify – Relying on printed forms is yesterday’s way of getting data into and out of your SAP system. More good news is that even if you don’t like the idea of an electronic form, you can take even your Excel spreadsheets to a new level by using Cell-based mapping with Winshuttle Transaction. For a couple of years now, you have had the choice of either using column based data or cell based data with Winshuttle Transaction and Microsoft Excel. The advantages very quickly become clear. Excel based data can become very difficult and tricky to work with for those users who are the most rudimentary of spreadsheet users. Additionally, you may have a relative technology light business organization and like the idea of forms but not want to invest measurably in any given form technology. Cell based mapping with Winshuttle Transaction allows you to work with the ubiquitous Microsoft Excel spreadsheet in offline and online scenarios using whatever formulae, macros, images or special formatting you like. The biggest advantage here is that you can represent the data pretty much any way that makes intuitive sense to your organization and it can be created, maintained and distributed electronically without the need for photocopying, faxing, scanning or performing time consuming pre or post processing activities like optical character recognition or transcription. If you want to take your forms to the next level; consider a Microsoft InfoPath form custom designed using your company’s palette and visual elements but supported by collaboration enabled framework driven by Winshuttle Workflow. You can further augment the InfoPath form by accessing web services built with Winshuttle Transaction and Server for SAP interaction as well as web services from other environments like Warehouse Management Systems or catalogues. Migrating from paper forms to electronic forms can save your company thousands of dollars daily, improve the user experience and bring exponential operational performance improvements that will impact your company’s bottom line. Using electronic forms is not only an environment friendlier way of filling out structured data; it also improves data quality through intelligent form design validation and accelerates mean-time to data entry completion. Furthermore, forms don’t require any particular skills for basic creation especially when built atop Winshuttle Server-based web services which automatically furnish field names and identifiers for easy mapping. Go Mobile – It seems every other person you meet these days has either a Smartphone, a tablet computer or a WiFi enabled laptop. As Forrester states in their recent publication on Mobile Collaboration, When work is a thing you do rather than a place you go, you know you are living in a work anywhere world and you have to wonder why you aren’t mobile enabling some of your SAP processes. With the widespread use of mobile devices, it seems very counterintuitive to not make critical business processes that lend themselves to mobility, available. Admittedly, there are some hoops that you will need to jump through to ensure that you are creating secure and robust communications channels between your device and your backend systems but if you have no mobile strategy in mind you can consider your business almost certainly lagging behind in terms of taking advantage of the technology at your employee and partners’ disposal. The growing power and convenience of mobile devices will make them the platform of choice for functions once limited to home and work computers. So keep your cell phone handy – and kiss your desktop system goodbye (for some activities at least). Have you heard of the concept of “lazy approvals”? They have been around for a few years now in principle at least and the good news is that you can leverage these in many scenarios when working with SAP data when using Winshuttle Workflow. If you’re not familiar with the concept of a lazy approval, it is basically the ability to simply send a keyword in response to an email workflow notification. 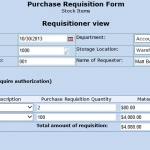 The keyword may be something as simple as approve or reject and these could be used to make decisions about a large variety of business activities including requisitions, work and purchase orders, leave requests and general data changes. Configuration of Winshuttle Workflow simply requires the establishment of email notifications of workflow events and configuration of the keywords for this asynchronous workflow process capability to be enabled so it doesn’t even depend on a given user having real-time access to the portal or SharePoint site to collaborate. For key decision makers in your organization this could be a great productivity boon that will furthermore obfuscate the underlying complexity of ERP transaction screens through intelligent solution design when using Winshuttle products with SAP.